When using PPC to promote your events, it is always a good idea to use a combination of different tactics, though the exact combination would depend on whether your target audience is familiar with your brand or event. 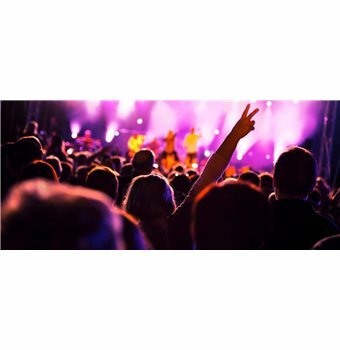 For example, the ACL music festival is hugely popular among musicians, so all that you need to do is include the relevant keyword and the name ACL and people would know what you're talking about. On the other hand, if you want to promote a music festival that is relatively new or is not so well-known, you'll probably have to explain a bit about it as well. One thing to keep in mind for events is you want the ads to stop after the event. So, choose an end date for your campaign, so your money is not wasted in ads that keep running even after the event is over. Consider using an adwords campaign management software to stay on top of your ads. Mar 04 2019 Google adwords e-learning online: How to manage your events and seasonality? Mar 04 2019 How to attract traffic for a one-time event? Google Ads visitors are 50 % more likely to buy than organic visitors. 43 % of new buyers buy something they saw in a YouTube ad. How to be visible thanks to AdWords during an event? Do "smoke events" constitute a significant risk when flying? Z Event: how did the Video Game Telethon raise 1 million euros in one weekend? Where can I find dataset dedicated to SIEM (Security Information and Event Management) systems that can be used in machine learning?